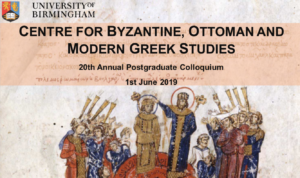 The 20th Annual postgraduate colloquium for the University of Birmingham’s Centre of Byzantine, Ottoman and Modern Greek studies. 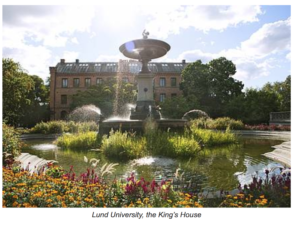 The event this year will be held on the 1st June 2019, and welcomes contributions in the form of 20 minute papers or A3 research posters. 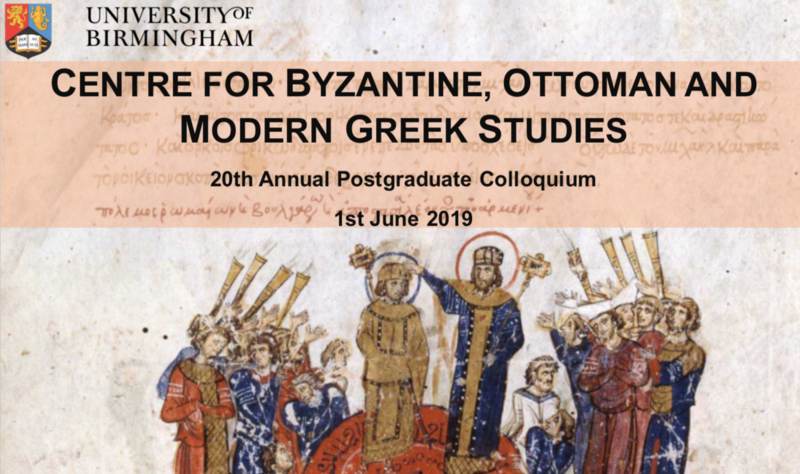 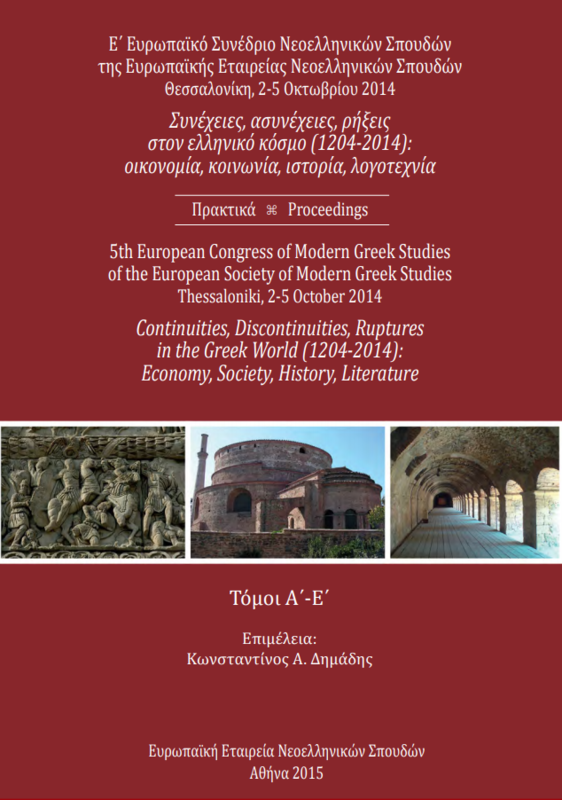 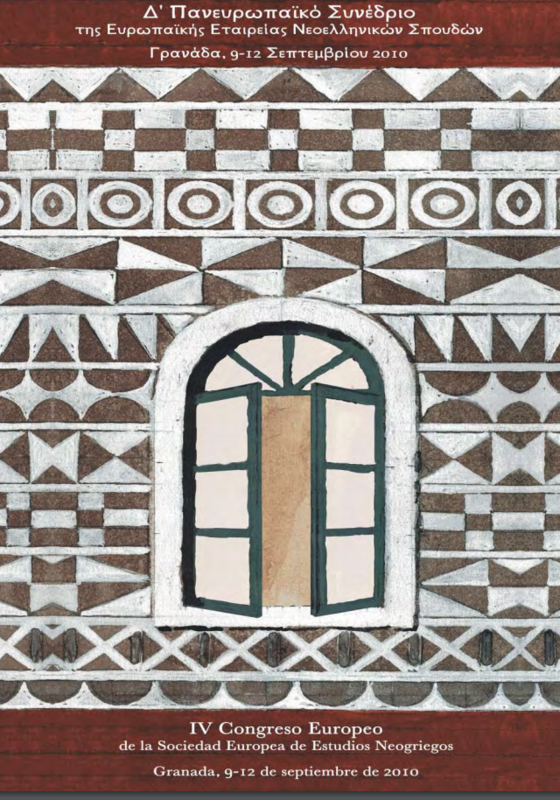 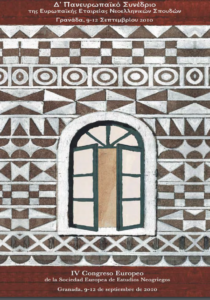 Our theme this year is “Celebrations” in recognition of the 20th anniversary of the colloquium, and submissions from any area of Byzantine, Ottoman and Modern Greek studies relevant to this theme are welcome.